When I was eight years old, I would spend hours writing short stories. There was no real plot to speak of, and the characters were a re-hash of my friends, family, and teachers, but I loved writing above all the other games that an eight-year-old would play, ever hopeful that I would be an author one day. Fast forward thirty-five years and I’ve now published five books with my sixth (Guardians of the Lost Lands) due out in December. I was also highly commended in the Self-Published Book Awards 2014 for my non-fiction title, How I Changed My Life in a Year. Writing is my life, and I couldn’t be happier about that. When I was younger, writing short stories was my happy place. I get bored very quickly, and so writing fast-paced tales that were under 2,000 words was perfect for my Gemini nature. When I started to take my writing seriously and began publishing my work, the short stories became a distant memory. 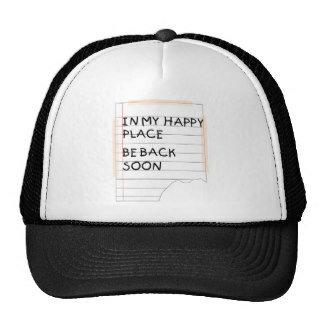 The plots and characters I created needed time and space to get into trouble and dig themselves back out again. I also began writing non-fiction for the personal development/self-help genre which needed a higher word count. It was when I joined my creative writing group that I began to write short stories and flash fiction again. One of my favourite writing tasks was to develop a flash fiction piece from a photograph/image (my YA trilogy was conceived in the same way). Even though I was scribbling shorts again, I still favoured a longer story. When I was approached to submit a short story for the anthology, Creeps in the Night, I was nervous and unsure if my story would be up to the task. It surprised me how fast I had fallen into the full-length novel writing zone. Fortunately, the theme was creepy tales, which hooked me in straight away. I re-wrote one of the flash pieces I’d written for my creative writing group, edited it and submitted. I was elated to have it accepted. 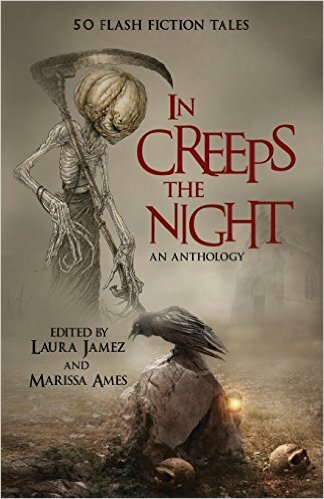 The House on the Hill, appears in the anthology, Creeps in the Night, which is available as eBook and paperback, alongside a host of incredible authors. It was fun to step out of my comfort zone and write a short story; it’s also an honour to add this anthology to my catalogue of published works. Author, Rayne Hall, promotes the use of writing short stories to help sell your full-length novels in her appropriately titled, Writing Short Stories to Promote Your Novels. Whether you write 120,000-word epic romances, 30,000-word novellas, or blog posts and articles, writing is still writing. This is something to be celebrated, shared and enjoyed. So, if I ever get asked to write another short story, I’m going to jump at the chance. Do you write short stories or full-length novels? Maybe you prefer to read a full-length novel over anthologies? I’d love to hear your thoughts so feel free to leave me a comment below. As a reader I always think I prefer a novel and then when I read a short story I’m always amazed by the crafting that goes in to achieve depth, character, setting and so on so succinctly. I agree, Linda. I’ve recently started reading more anthologies and the authors make the art of short story writing look effortless. These days I prefer reading longer stories, but not ones which get to 400+ pages. I like a lovely 250 – 380 pages. I prefer to read full-length novels above short stories. Same with writing. I enjoy both if the short story, as Linda says above, has depth and good characterisation. I really enjoy reading short stories. Sometimes I just don’t have the time to devote to a full-length novel so a book of short stories I can dip into works really well. And it’s a real skill to write a satisfying short story – every word really counts when you have so few to work with (which is why I don’t write many!).. Generally, I prefer novels, though I do like novellas too – but sometimes a short story anthology is just the thing, isn’t it? And I think Rayne is so right – when I published my short story collection, Nine Lives, I put the first chapter of my novel What It Takes in the back. A week later, I put What it Takes on 99p special offer – and sold so many it got into the Top 1000 on Amazon, so it definitely works! Alison’s so right about every word counting, too – I’ve recently written a novella and have had to remind myself how to ‘contain’ more than you do for a novel – a short story is like the same process, ten times over! Also, you have to have a really, really good ending. That’s the hard bit! 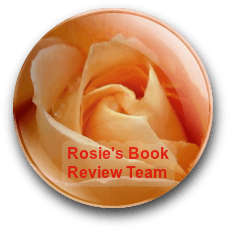 Why not put the anthology you’re in on Rosie’s review team list? That would be good! That’s great news about getting into the Top 1000 on Amazon – proof that Rayne’s advice is spot on. I believe that I over-think short stories and therefore never quite like what I’ve produced. I once wrote a flash fiction piece about abuse and sent it off to a competition and it got ‘highly commended’. It was such a gritty and unusual story that I didn’t think it would get anywhere. I guess that was my lesson! 🙂 Great idea about submitting the anthology to RBRT. I really enjoy both. Short form is making a comeback with the advent of self publishing. Things the big five wouldn’t touch are now possible. That’s so true, and it’s great news for the talented short story writers’. Novels, or novellas at least, for reading because I like to luxuriate in the length of the piece, though short stories work nicely for quick blasts. On the writing front, I tend to write more shorts, though I do enjoy the pleasure of having more space to work in a novel. Reading? Hmm… Both. I love losing myself in a good novel or even a series but I love short stories, too. I am always amazed at what writers can accomplish with a small word count. My favorite thing to write is flash fiction or short stories. I’ve written both (never published – still working on that!) but I love short fiction. I really enjoy jumping into a short story, especially when it’s a tense scene, and seeing what happens. Even though some end abruptly, I find those finishes very satisfying! It is such a wonderful skill to be able to write a short story that captures a tense scene and carries you through to the end. I over think my shorter fiction and probably get in my own way! I’ve published magazine stories (have a forthcoming collection), try to write novels (but so far find I keep editing and chopping as if there were a word limit … ) Love reading both. That’s fabulous, Kate. You must let us know when your collection is available. Currently working on a novel based on shorts I wrote years earlier. Great shorts are hard to write since there is no room for error. But, writing an entertaining story over 400 pages is also challenge, one more lated to adequate breadth. I think the beauty of writing shorts and flash fiction is the scope to turn these ideas into longer pieces. They can act as a spring board to our 400 page epics! As you say, skills are required for writing both styles. Congratulations. Fab news. I love flash, but then jump straight to novels. Never been that good at the short length stories. Wish I was. Thanks, Sacha. I’m with you on that one, writing shorts is still tricky for me, although I do love flash fiction. Have you heard of Txtlit.co.uk? You have to write a 154 character story in a text message. Some of the winning stories are amazing.